This post is sponsored by Rubbermaid®; however, all thoughts and opinions are my own. The sun is finally shining, the days are getting longer and the snow is finally melting away! As winter slowly fades away and spring begins to return, I’m starting to get the itch to get some spring cleaning done. While I’ve been tossing old items, cleaning closets and minimizing, what I’m gravitating and looking forward to the most is giving my pantry and refrigerator a good cleaning. Our pantry and refrigerator were a hot mess with boxes, bags and random stuff everywhere! It drove me absolutely crazy until I finally couldn’t stand it any longer, especially as we have limited space. I stepped my organization game with some help from Rubbermaid® Easy Find Lids™ and I’m SO thankful! This spring, our family is focusing on healthy eating. Purging and cleaning our kitchen of unhealthy temptations and stocking our home with more nutritious, real foods that nurture our bodies is one of the easiest ways to get us back on track. For healthy eating in our home we generally stick to a 80/20 rule. Most of the time we eat wholesome, real foods, but we aren’t sticklers when it comes to treats and snacking on the less than ideal items occasionally. Having plenty of nutritious foods organized and prepared as well as fewer processed foods in our home sets us up for success. Less temptation leads to better choices in our day-to-day lives. A little meal planning and stocking up with wholesome choices make all the difference! Alright, let’s jump in and start some major spring cleaning! Make sure to read down to the bottom to enter to win a free PANTRY MAKEOVER valued at $500 thanks to Rubbermaid®! We’re going Marie Kondo style and taking everything out of the pantry and refrigerator. 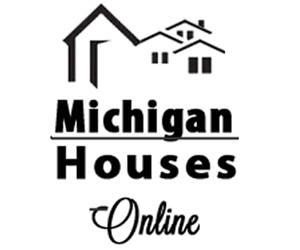 As you’re taking everything out, take note of expiration dates and toss items that have expired. Since everything is out, give everything a good wipe down. Limit processed foods as much as possible as many have high levels of sodium, sugar, fats, and less-than-ideal ingredients. If you can’t pronounce it or don’t know what it is, it’s likely not great for you. A few foods to specifically be mindful of: cereals, granola bars, deli meats (watch for nitrates), microwave popcorn, frozen dinners, etc. Aim for fresh, simple ingredients the focus of your diet. 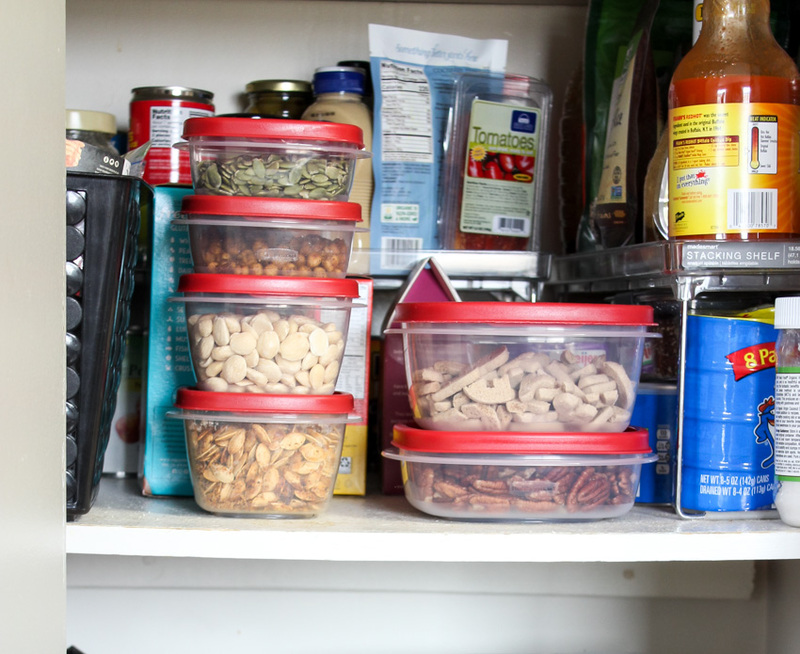 Getting rid of not-so-healthy foods and stocking up with nutritious and wholesome options is a must for healthy eating, but making sure that everything is organized is nearly as important! If you can’t see what you have, you’ll likely not eat it leading to a ton of food waste and money wasted. 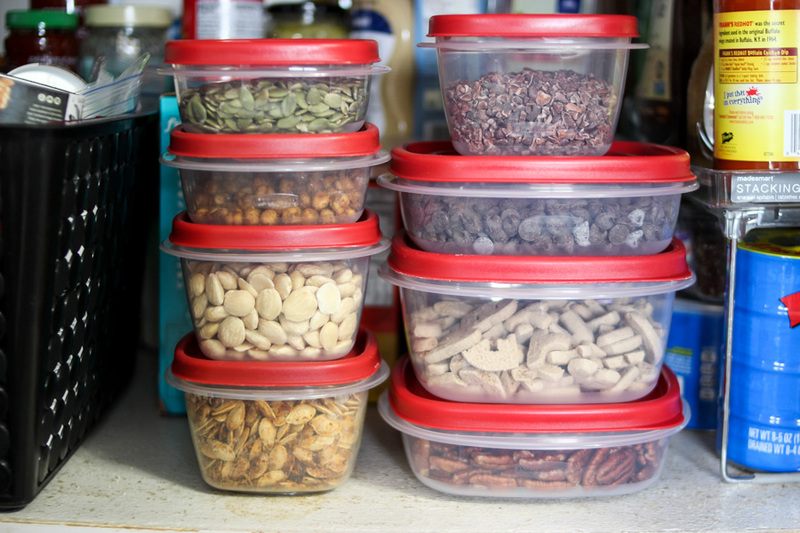 One of my musts for an organized pantry and fridge are Rubbermaid® Easy Find Lids™ Containers! Rubbermaid containers are BPA free, stack easily and create a great seal to keep food fresh longer. 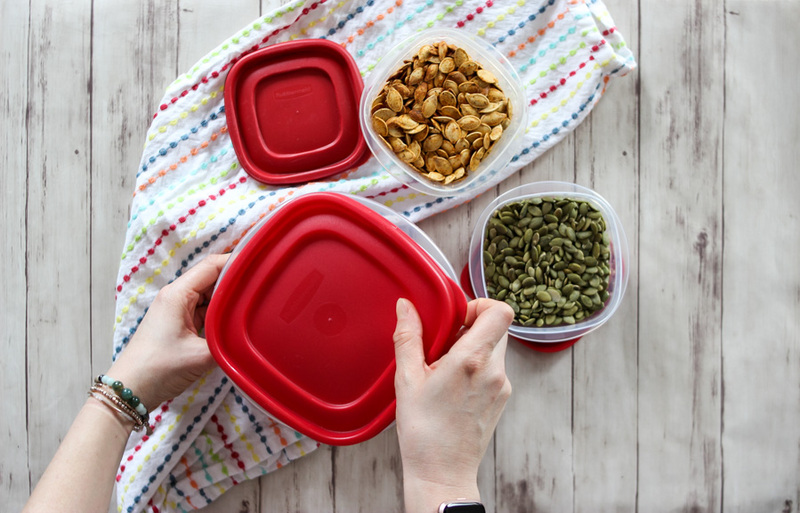 The use of Rubbermaid® Easy Find Lids™ containers, is perfect for storing all those loose bagged items (like nuts, crackers, etc.) which allows us to more readily see and organize what we have to use to allow us to make healthier food choices. 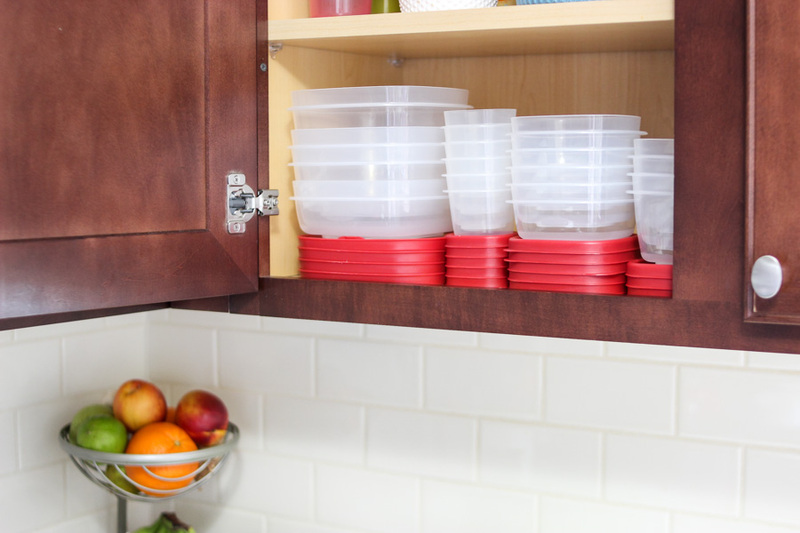 Rubbermaid® Easy Find Lids™ Containers are super versatile and one of the most valuable tools we have to keeping our pantry clean and maximizing every bit of space in our smaller cabinets. Another bonus: bases nest together and lids snap to bases and other lids to help prevent cabinet clutter and provide better use of space. No more searching for lost lids in your cupboards! Now that everything is organized, restock with lots of healthy options! Prior to shopping each week, I make a tentative meal plan for our meals and snacks. Often I look at the sale ads to help plan my meals based on what’s on sale that week and what fruits/veggies are in season (cheaper). 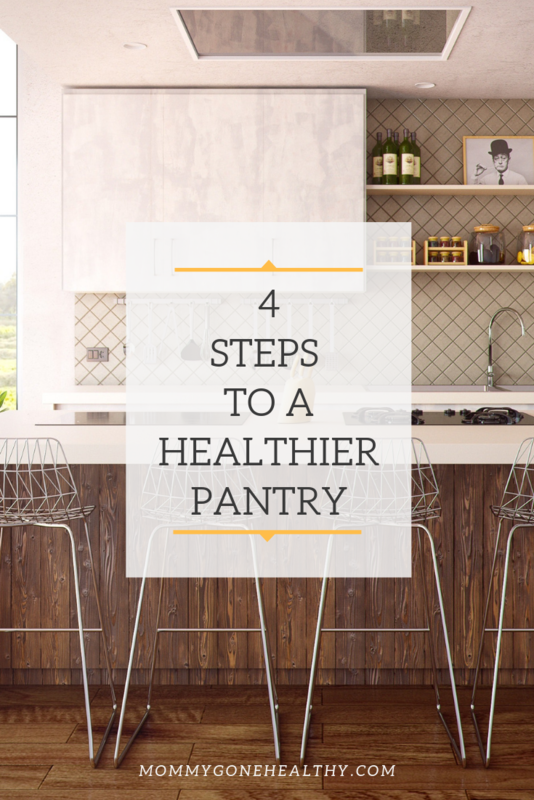 Make a list of what you need and get shopping to stock your pantry with lots of healthy food essentials. Fresh fruits and veggies when possible. Purchasing fruits and vegetables that are currently in season is a great way to save money, as well as adding some variation to your diet. Frozen fruit and veggies are a great option compared to canned as they’re usually nutritionally superior and have less added sodium and/or sugars. When buying canned goods: opt for low sodium, no sugar added and organic when budget allows. The less ingredients the better! After shopping, I love taking some time to clean, chop and prep food for the week. Having everything ready to eat allows you to make healthier choices. 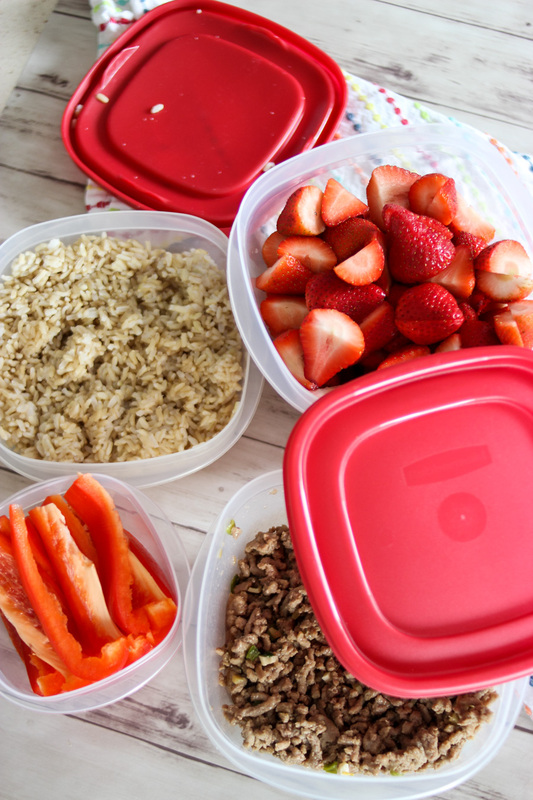 I store chopped veggies and fruit in my Rubbermaid® Easy Find Lids™ Containers, prepare a few grains to serve as the base for meals and even prepare a few lean proteins. 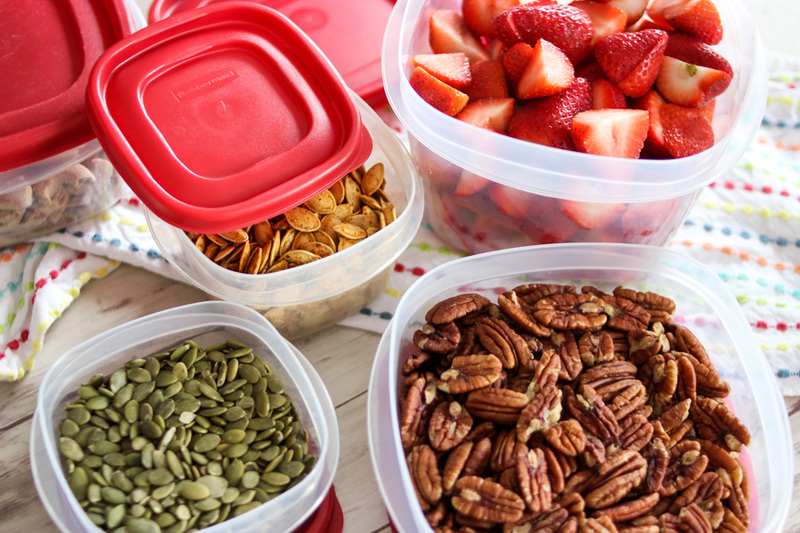 To make spring cleaning a little easier, add Rubbermaid® Easy Find Lids™ to your pantry (you can purchase them at many retailers). 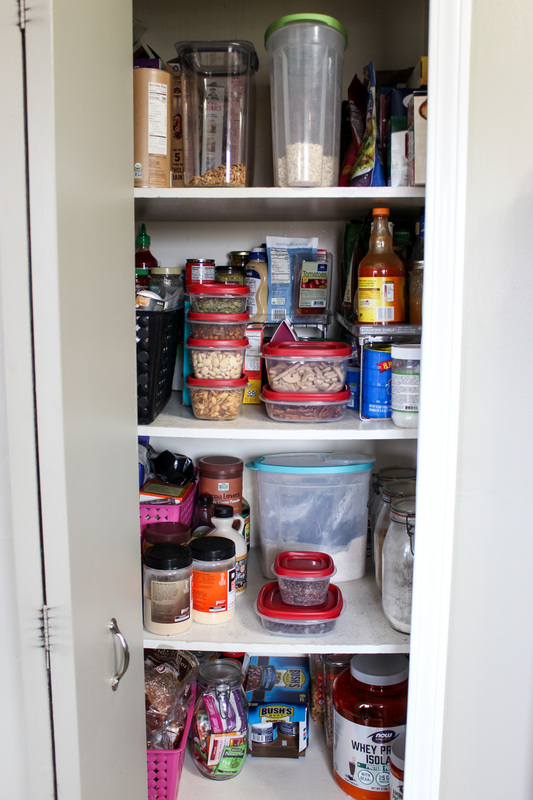 If you want to achieve better pantry organization, enter the Easy Find Lids™ Pantry Makeover Sweepstakes for a chance to win a pantry makeover valued at $5,000!!! ENTER HERE! I just bought similar tubs recently. I got them for meal planning and they’ve been a life-saver! Such a great idea! We’re in the process of moving to a new city and I’m going to take this into our new home. What a good idea! Stacking is key! Yes and Yes! I love that they stack together! There is nothing worse than trying to find space for everything! I did Marie Kondo as well and cleaned out my pantry too! 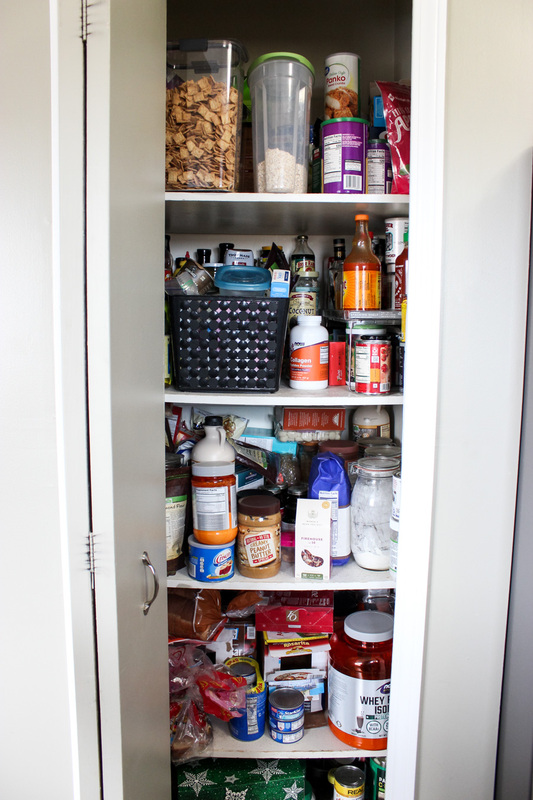 It is a great feeling not to be tempted by what used to be in the pantry!